Tonga rugby centre, Alipate Fatafehi is raring to take the field in the side’s Pacific Nations Cup clash against the Vodafone Flying Fijians this weekend. 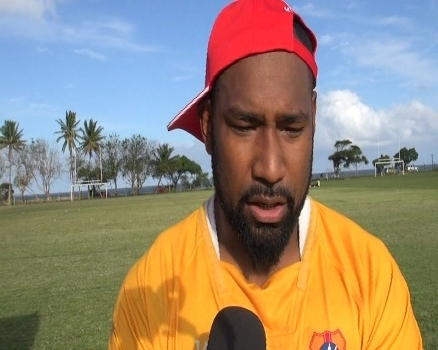 The Fiji-born player has links to Nadroga and says nothing compares to playing against his countrymen on home soil. Fatafehi plays club rugby in France for Lyon, alongside fellow Fijians, Wame Lewaravu, Ilikena Bolakoro and Avenisi Vasuinubu. Tonga will take on the Flying Fijians at 3pm on Saturday at the ANZ Stadium and a live commentary will air on Bula FM with the voice of rugby, Graham Eden.